Your home deserves superior curb appeal. Your business should make a standout first impression. 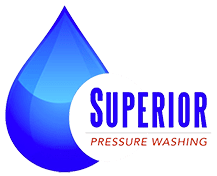 Expect nothing less with Superior Pressure Washing. We’re proud of our Maryland roots - just as we’re proud to bring the best property solutions to your home or business! We know exactly what properties in our state need to maximize curb appeal and maintain their long-term quality. From Olney to Rockville, from Gaithersburg to Bethesda you can count on us!